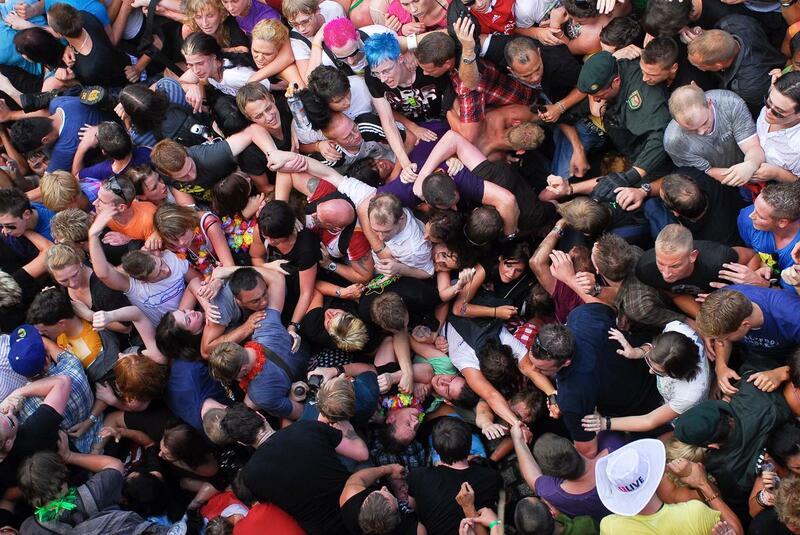 People press through the crowd at the Love Parade in Duisburg, Germany, in a crush that left 21 dead and more than 500 injured. The Love Parade, a public party and music festival first held in Berlin in 1989, has attained cult status around the world. The Duisburg event, held on festival grounds at the site of a disused railway depot, had only one entrance – a tunnel 100 meters long and 16 meters wide. Revelers packed into the tunnel after police attempted to control access to the grounds. Estimates after the event put attendance figures at 1.4 million, but a later police statement reduced that to 400,000. Argument continued for months as to who was responsible for the disaster and an official investigation into the affair looked set to drag on into 2012. The head organizer of the Love Parade announced that the festival would not be held again.